A major tech company needed an edge solution with a Primary Point of Presence in Texas. As part of its fit-up, the build required a 20×20 foot cage for a total of 400 square feet in a colocation data center. 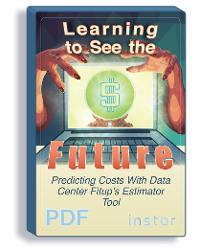 Having heard about Instor’s DataCenterFitup.com tool, the company navigated to the estimator tool and began to fill out the basic information for the proposed build. Knowing the cabinet, power, cage, containment and structured cabling requirements, the company answered a few questions over the span of just a few minutes. The fifteen minute estimate was within 15% of the final cost.